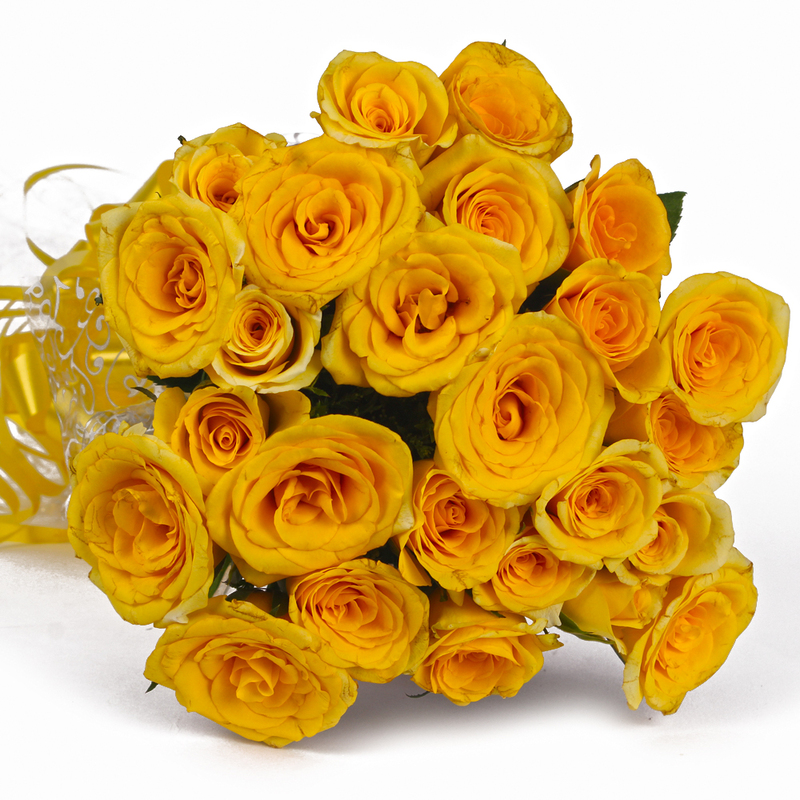 Check out these delightful 25 yellow colored roses which have been packed beautifully in cellophane with a matching ribbon bow on top. The entire ensemble is actually a very innovative and novel gift. 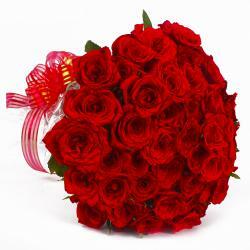 These flowers can be held synonymous with festivity, good cheer, happiness, joy, love, warmth, companionship and affection. 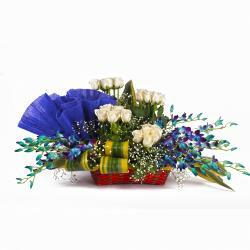 They make for wonderful gifts if you think of occasions like Valentines Day, Birthday, Anniversary, Romantic, Missing You and many more. 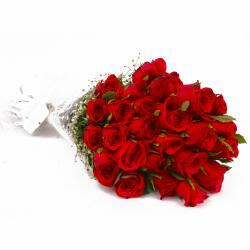 These roses will actually warm the cockles of any recipient you choose to gift this ensemble to. This definitely makes for the perfect mix of warmth and beauty. 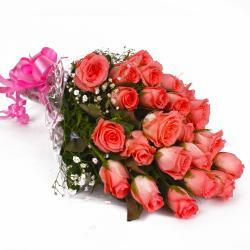 Product contains : 25 Yellow Roses with green fillers in Cellophane Wrapping with Ribbon Bow on it.